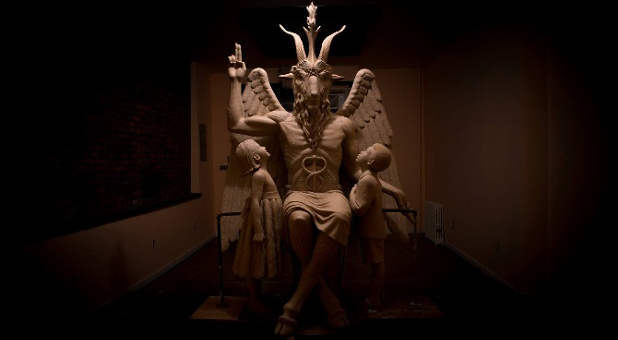 The Satanic Temple plans next week to unveil the demonic Baphomet statue during a rally at the Arkansas State Capitol to counter the Ten Commandments monument. The rally, planned for Aug. 16, "is intended to bring together religious leaders of different faiths to discuss the importance of the First Amendment and its protection for religious pluralism," the group said in a news release. The Baphomet statue has the head of the goat with a five-point star on the body of a human. The statue has wings and hooves for feet. Ultra Culture identifies the idol as a "profoundly influential occult icon." However, Christian groups have planned a prayerful counterprotest during the satanic demonstration. "For the first time in American history, with this brazen display of this Baphomet statue, Aug. 16 will be a day of public acceptance of the devil on American soil," says Jack Burnham of the American Society for the Defense of Tradition, Family and Property (TFP) and friends and supporters of its America Needs Fatima campaign. "Satanism is not a religion. They worship no god, only hating the one, true God, His creation and the wise Commandments He gave for peaceful and harmonic human societies. This procession, with its Baphomet idol of Satan in tow, will attract real devils as it makes its way from out of state to the Arkansas Capitol grounds. That is how the devil works." Spirit-filled Arkansas Sen. Jason Rapert, founder and president of americanhistoryandheritage.org, which raised all of the private funds to build and install the Arkansas Ten Commandments Monument, says that though the Satanic Temple has the right to free speech, most of his constituents disagree with his organization's message. 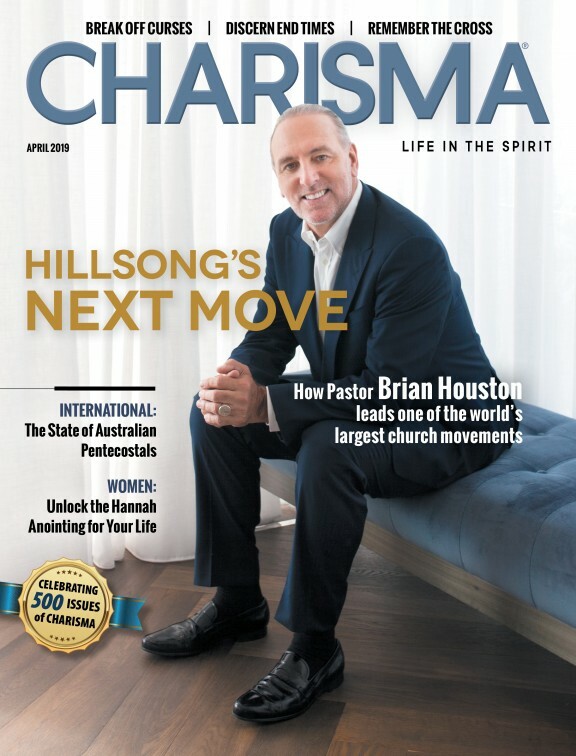 "The majority of the people living in Arkansas support the display of the Ten Commandments Monument on our state Capitol grounds to honor the historical and moral foundation of law that the Mosaic Code represents," Rapert tells Charisma News. "The U.S. Supreme Court ruled in 2005 in Van Orden v. Perry that the state of Texas had a legitimate right and purpose to display the Ten Commandments on their capitol grounds. I have also personally visited the Ten Commandments monuments on the grounds surrounding the state capitols of Arizona and Colorado, and just recently visited the U.S. Supreme Court building in Washington, D.C. where the Ten Commandments [are] engraved into the doors leading into the court chamber itself," Rapert continues. "The so-called Satanic Temple is a radical atheist group using the trappings of satanism to mock the history and heritage of our nation. They have a right to speak out just like any other group in our nation in accordance with the law, but the vast majority of people in our state and across the country reject their extremism and their ideas, and that is our right. Their brief visit and demonstration [are] offensive to the values of the people of Arkansas, but we will be here, and the Ten Commandments Monument will still be standing on our Capitol grounds when they are gone," Rapert says. The Satanic Temple spent three years lobbying for the Baphomet display. The appearance of the 7Â½ foot bronze statue on Capitol grounds has been a long time coming. In August 2015, Arkansas Legislature passed a bill introduced by State Senator Stanley "Jason" Rapert to install a Ten Commandments statue on State Capitol grounds. By rejecting The Satanic Temple's subsequent offer to donate its statue of Baphomet on Capitol grounds, Arkansas violated the establishment clause of the First Amendment by endorsing one religion over others. The Satanic Temple's application was blocked by an emergency-session bill that requires all monuments have legislative sponsorship. While the bill prevented the Baphomet statue from being considered, ironically it only magnifies the degree to which the State legislators are endorsing one religion over others and thereby deliberately rejecting the U.S. Constitution. In April, the Ten Commandments monument was installed in Little Rock and in July, The Satanic Temple filed a motion to intervene in a federal lawsuit opposing the Ten Commandments monument. The Satanic Temple is now seeking a court order to require the state to install the statue of Baphomet on the Capitol grounds. Greaves explains, "This isn't a rally of secularists versus people of faith, Satanists versus Christians, or outsiders versus Arkansas. This is a rally for all people who hold sacred the founding Constitutional principles of Religious Freedom and Free Expression that have fallen under assault by irresponsible politicians like Senator Rapert. We welcome people of all backgrounds and religious beliefs to stand with us."